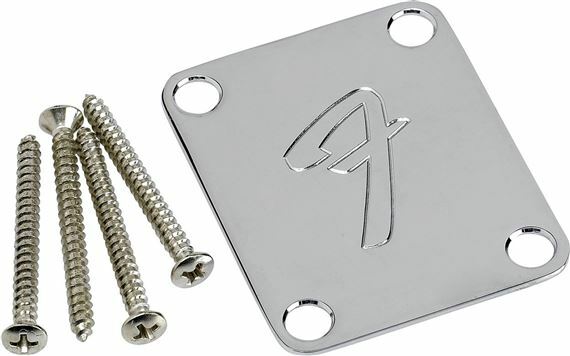 Order your Fender 4 Bolt Neck Plate 70s F Logo from AMS and enjoy Fast & Free Shipping. Get the Best Deal with our Lowest Price Guarantee & Great Customer Service! This ‘70s vintage-style 4-bolt mount neck plate subtle way to add throwback flair to your guitar thanks to its engraved ‘F’ logo. Fits most Fender guitars and basses requiring a 4-bolt neck mount without Micro-Tilt adjustment. No Serial Number. Includes 4 mounting screws.